The Osher Center for Integrative Medicine blends conventional medicine with complementary and integrative disciplines such as acupuncture, chiropractic medicine, bodywork, naturopathic medicine and mind-body medicine to help patients optimize their health and prevent chronic disease. The center focuses on providing innovative clinical care options, conducting research on integrative treatment approaches, and educating both the community and healthcare providers about integrative medicine to promote health and wellness. 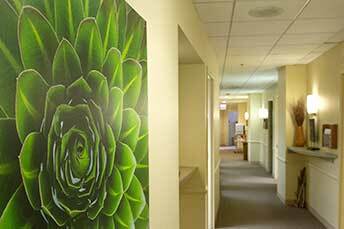 The Osher Center for Integrative Medicine is the premier integrative health resource in greater Chicago and – as of 2017 – one of only five institutions selected by the Bernard Osher Foundation to advance integrative medicine research, clinical treatment and education programs. Under the direction of Melinda Ring, M.D., assistant clinical professor of medicine and medical director of the center, the Osher clinical team consciously blends the very best of conventional medicine with evidence-based complementary medicine practices from around the world to deliver the highest quality, personalized health care. The Osher Center for Integrative Medicine also acts as the trusted resource for integrative medicine education for the Northwestern University Feinberg School of Medicine, Northwestern Medicine, and the Chicagoland community. The center’s research on the role of practices such as mindfulness meditation and acupuncture has been presented at international congresses. 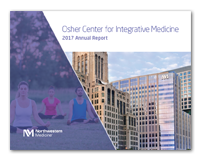 For more information visit the Osher Center for Integrative Medicine‘s website, or view the Annual Report below.